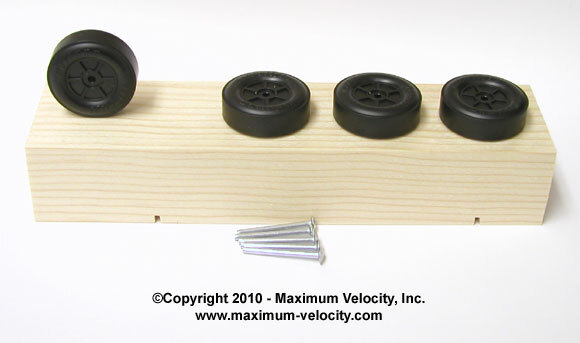 Sale Of Maximum Velocity, Inc.
After 20 years of offering pinewood derby supplies, we have decided to sell Maximum Velocity, Inc. This was a difficult decision as we enjoy the business and interacting with our customers. However, we are getting older and it is getting more difficult to keep up with the busy schedule. We will do our best to ease the transition, but there will be some period of time when the business will be offline. 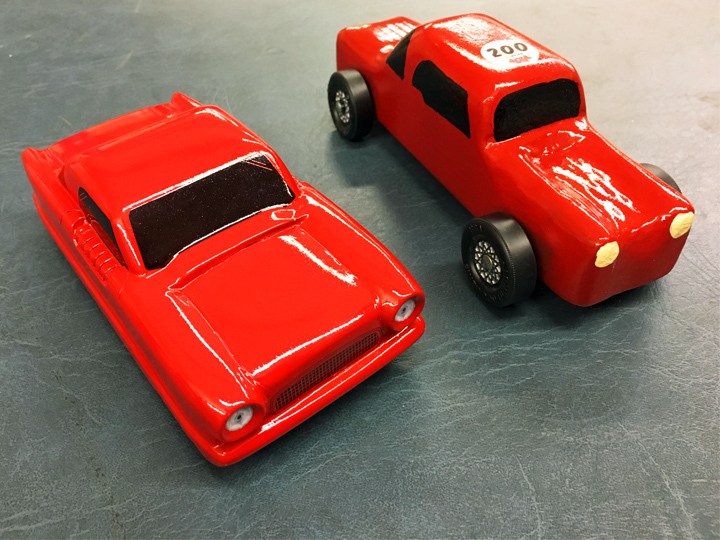 To prepare for selling the business, we are greatly reducing our huge inventory of pinewood derby products. Starting today, we are offering 40% off on all orders – no restrictions. (1) This is your chance to get supplies for this year, or for next year at prices likely never to be seen again. To take advantage of this offer, use coupon code MAXIMUM40 during checkout. The coupon is only valid for orders placed between March 19 and April 30. Sorry, at this discount level there is no free shipping offer. (1) All sales are final, and no returns are allowed except in the case of damage during shipping or a defective product. Any returns must be received by May 1, 2019. – Simple Axle Preparation – Don’t worry about filing off flaws, or losing hub caps. Our Pinewood Derby Speed Axles have no burrs or crimp marks, and install without hub caps. 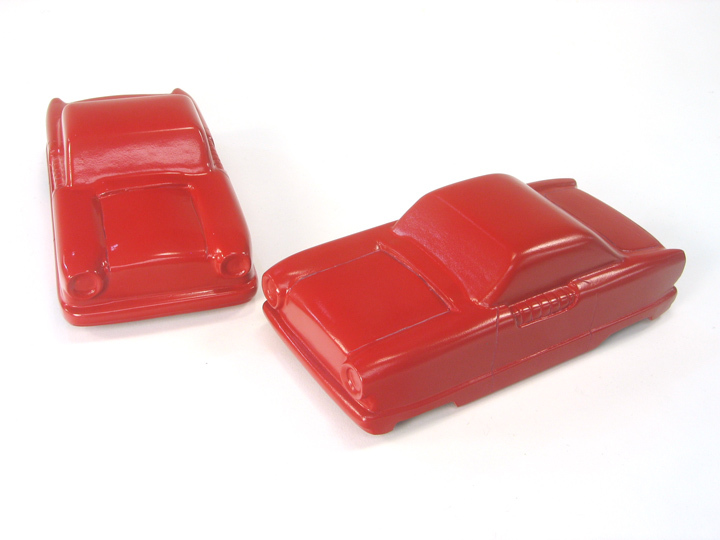 With or without polishing, they are ready to go. We supply five, so you have a spare. – Quality Wheels – Forget cheap, out of round wheels. 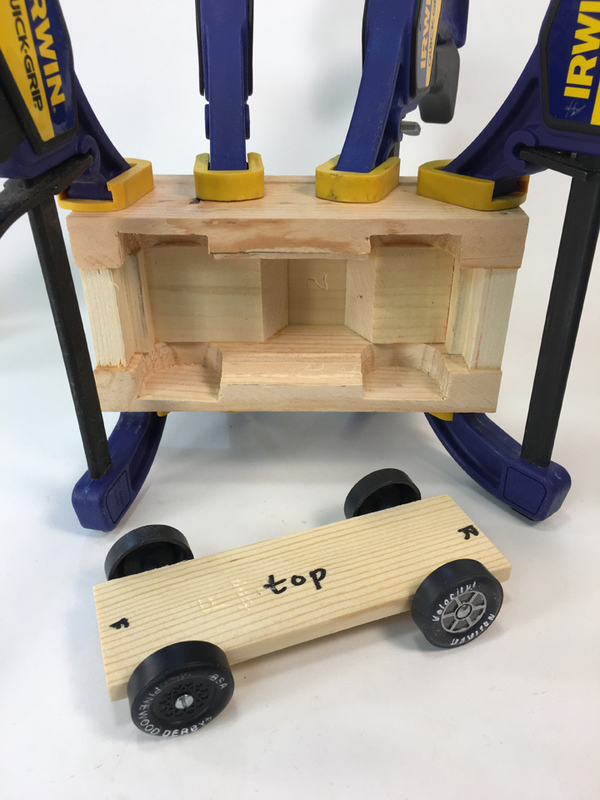 Our MV pinewood derby wheels are top-quality wheels. You will not be disappointed with the quality of these wheels. 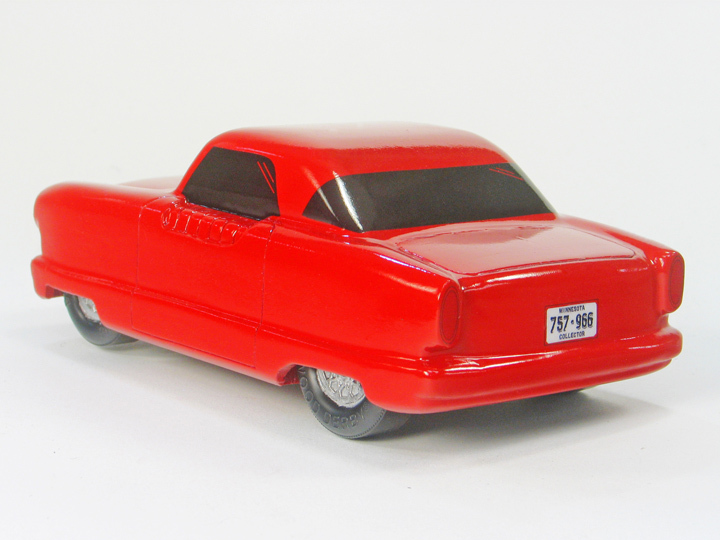 In early 2018, I decided to build a pinewood derby car based on a friend’s 1962 AMC Metropolitan street rod. The car had just won the 2018 Minnesota Street Rod Association’s “Custom of the Year” award. So, I started planning for the Met build. Knowing this was going to be a very short wheelbase car, I figured it could possibly upset the performance potential. 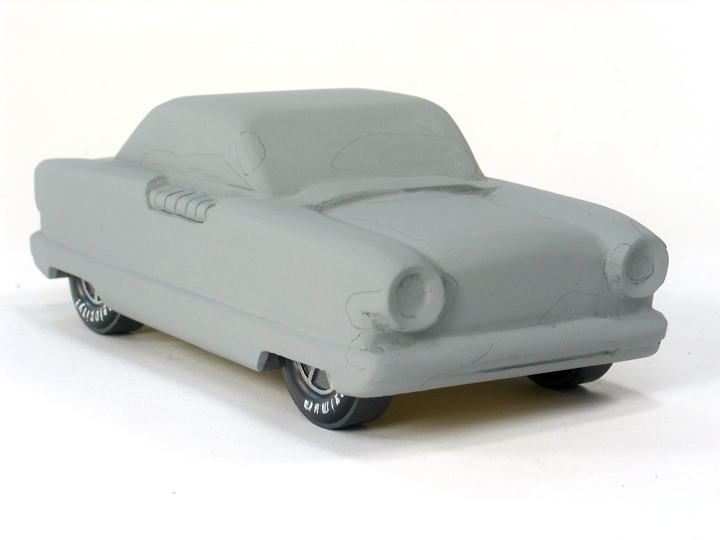 One of the issues I was having with the design is that the wheels are mostly covered by the body. Almost all of the other cars we have built have had wheel wells that surrounded the wheel. On others we made covers from thin roofing metal to partially cover the wheel and on one we made a removable fender skirt that covered the axle. 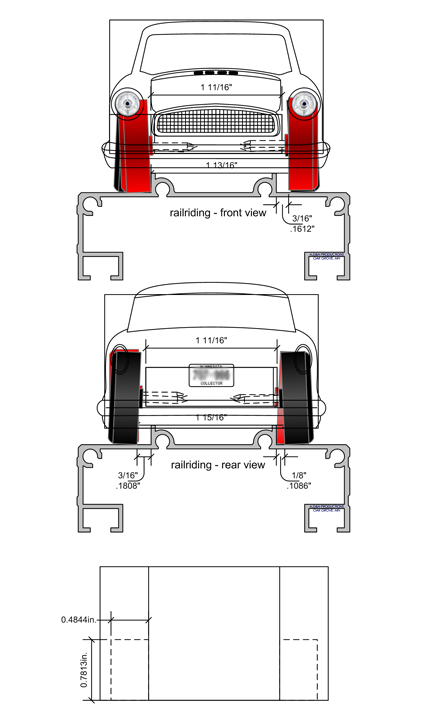 This car would have a body that totally covered the axle so it would be impossible to install the wheels and axles once the car was assembled. The fix came to me while I was driving to work one morning. 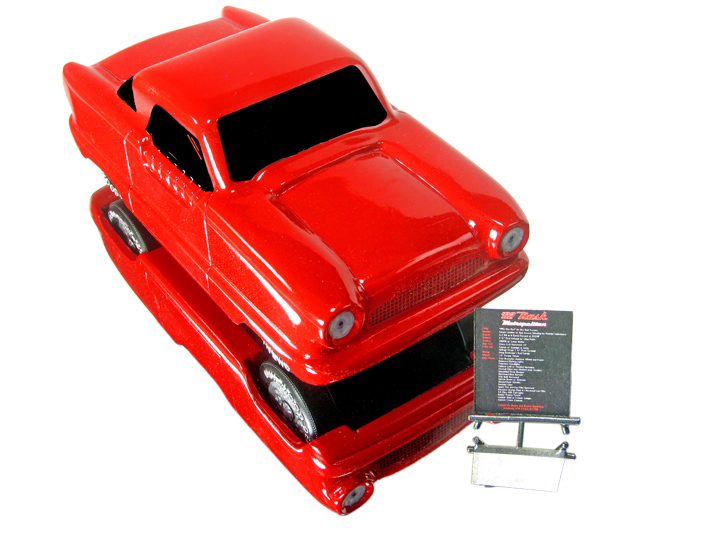 I could make the chassis a “roller skate” or “skateboard” design and the body would cover it. The last hurdle would be fitting the wheels where the body gets wider at the bottom, while keeping within the 2-3/4-inch maximum width. I needed to move the wheels in towards the track. This led to another drawing that showed the car sitting on the track. 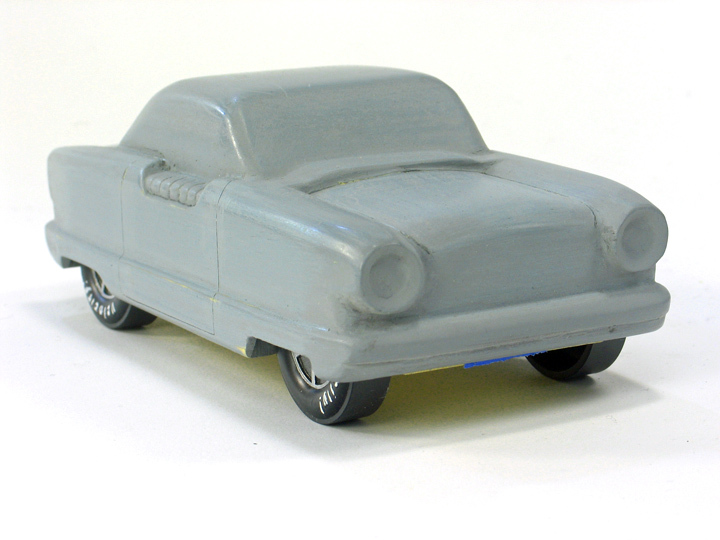 This car would be a rail-rider with the rear wheels canted and the steering wheel recessed another 1/16 inch. The skate was made 1/16 inch narrower to help the wheels fit into the new wheel wells. There is still 1-13/16 inch between the wheels. The outside of car is 2-13/16 inches wide at the bottom. The wood is so thin over the wheels that you could see light through the wood before painting. 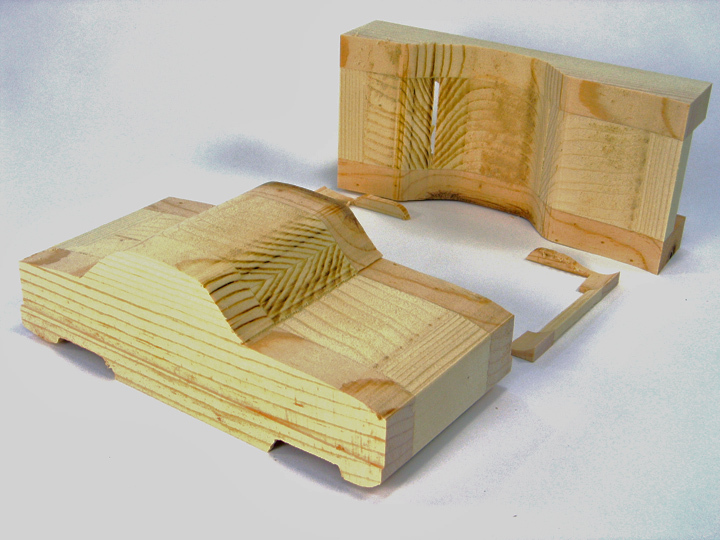 The car is built up from wood blocks to create the body shape. It is then sawed out to get the general form. Next, carving and sanding achieves the final shape. 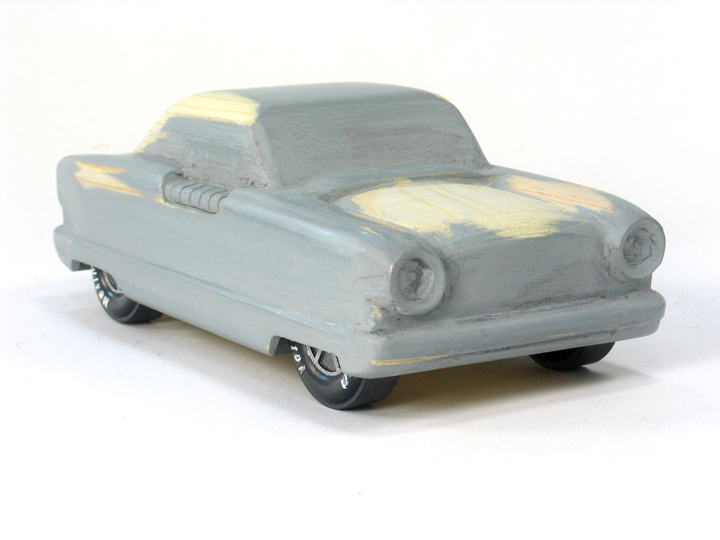 The wood is then primed, sanded, and filled multiple times, until the car looks like the real car. From there the paint is applied. Decals are added and the car is clear coated. The axles are polished and lubed and mounted onto the car. The car was weighed, and some additional weight was added to bring the car up to 5 ounces. It was now ready to race. 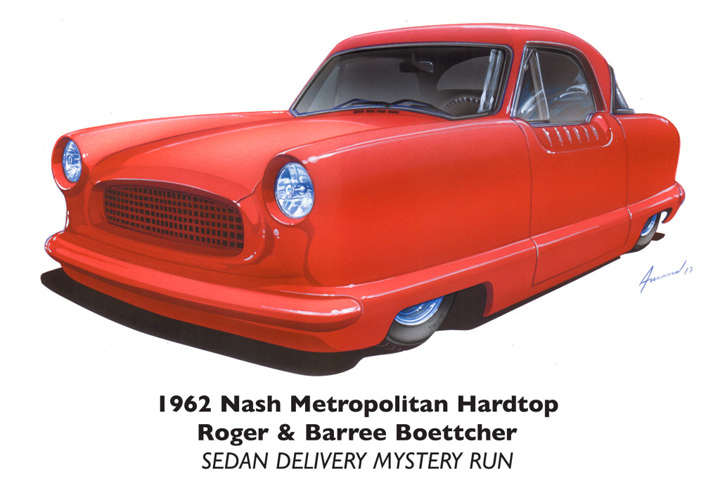 I was building this car to give to the owner of the Metropolitan, so I built a twin for myself. 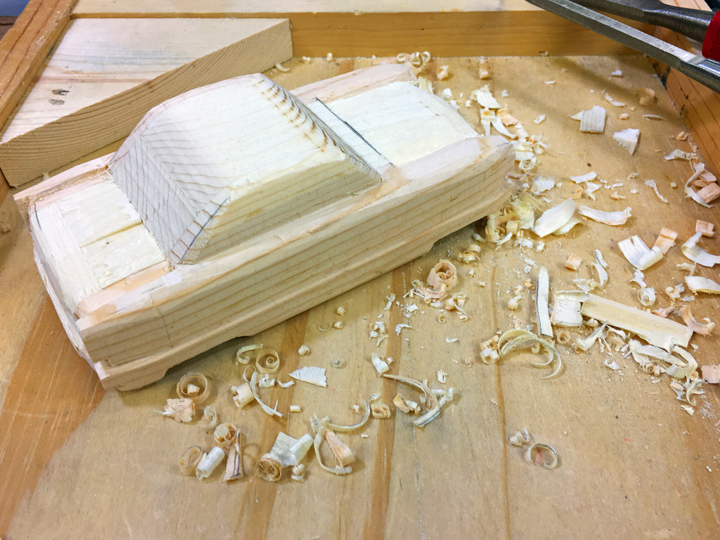 Building two cars doesn’t necessarily take twice the amount of time as you can do each job twice in much less time as you learn the process; the second time is a lot quicker. The Metropolitan placed 6 out of 25 cars in our stock PWD race. The other pinewood version of the Metropolitan placed 17th. 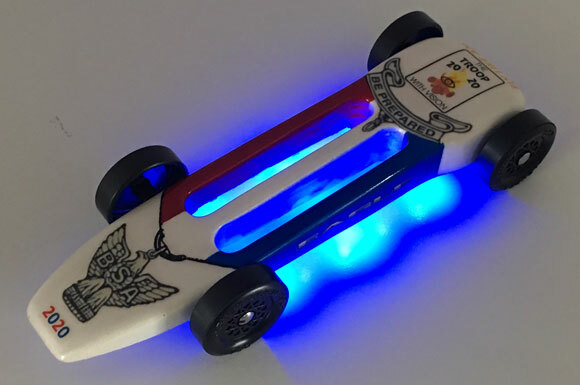 Fast and beautiful, that’s how I like to build pinewood derby cars. See if you can translate the following into the familiar sayings.. See answers below. Scintillate, scintillate, exiguous luminous celestial object. Pulchritude possesses solely cutaneous profundity. Freedom from incrustations of grime is contiguous to rectitude. The temperature of the aqueous content of an unremittingly ogled saucepan does not reach 212 degrees Fahrenheit. Where there are visible vapors in ignited carbonaceous material, there is conflagration. A watched pot doesn’t boil. Through April 30, 2019, you can get 40% Off your entire order. To take advantage of this limited time offer use coupon code Mar20NL during checkout. Sorry, no free shipping at this discount level. This truck was made by a scout in the Owasco Area of White Pine Council in 2015 – sorry, I don’t have the name of the owner. must weigh less than 750 gm/26.45oz.max weight. Even though this truck was entered in the best design category, it had to be able to complete a race series on a six-lane, 49-foot Best Track. 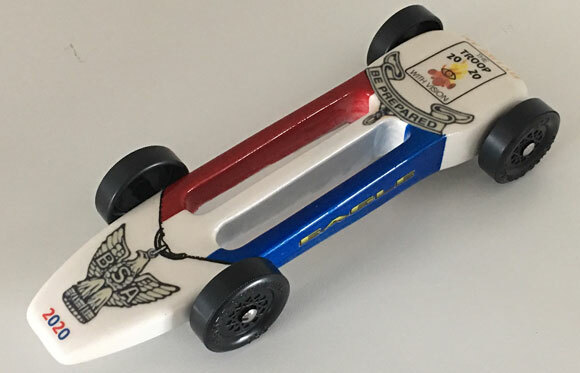 Troop 2020 once again sponsored a pinewood derby car for one of our local Packs to help with recruiting efforts. 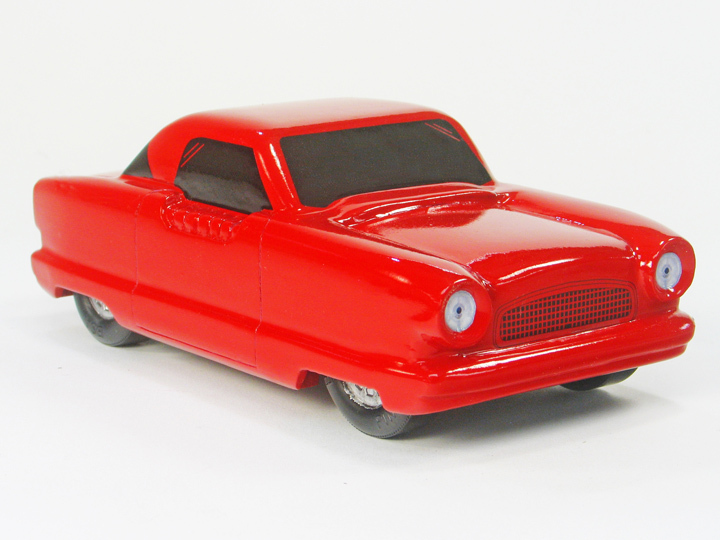 This year’s car was inspired by the BSA Eagle Medal and it got a lot of attention! After I saw your under-glow light kit, I thought they would perfectly incorporate into my design – it especially looks good with the open slots. 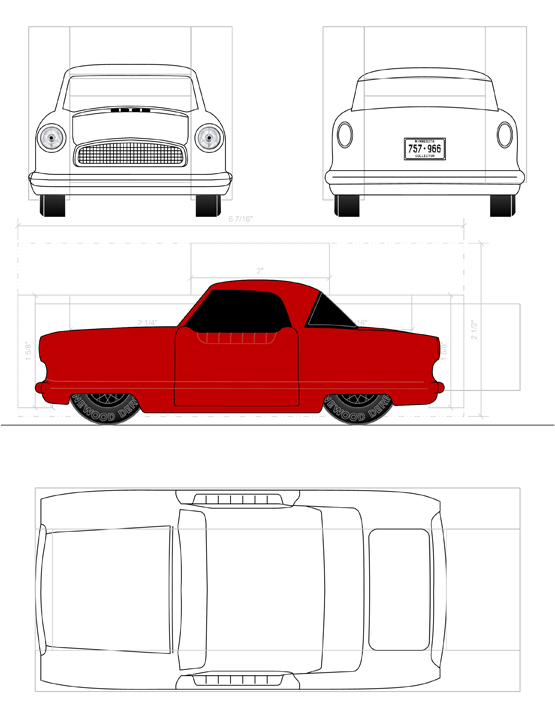 I had to change the design to make the car a little thicker to fit the battery pack (goes right where you want it in the back) along with a low-profile tungsten round. I recessed the LED light strips because I make my cars ride very close to the ground (at the min 3/8 inch) and I think it looks better with them hidden and the wires neatly tucked into the body. The car took first place in the sponsor race amongst some tough competition and everyone loved the under-glow lights, especially the Cub Scouts! 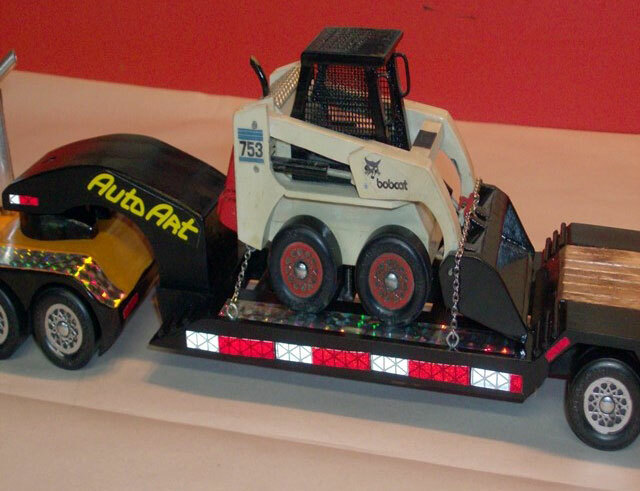 For this year’s 18-wheeler build for the Mid-America race, I thought I’d do something with a Bobcat Skid Steer Loader I built and shared on Derby Talk back in Nov 2014. Having never raced the Bobcat Loader I felt it was time for the kids there to see it. So, I set out to build a semi-truck with an open frame Lowboy trailer to haul the Bobcat loader for the race. 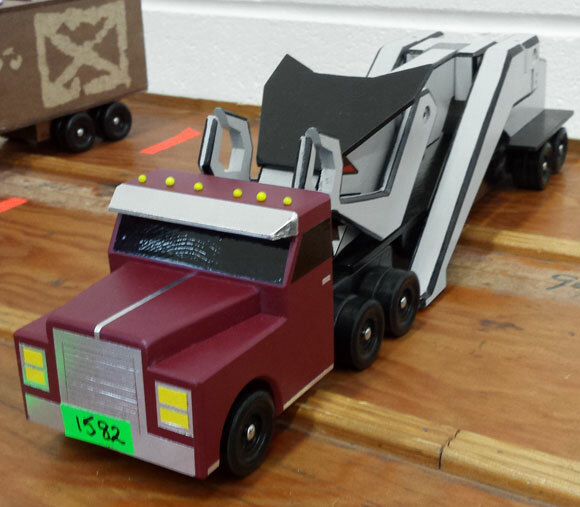 This is another one of my scratch-built big rigs without using a kit. Thank you for the 18-wheeler line of wheels and axles. 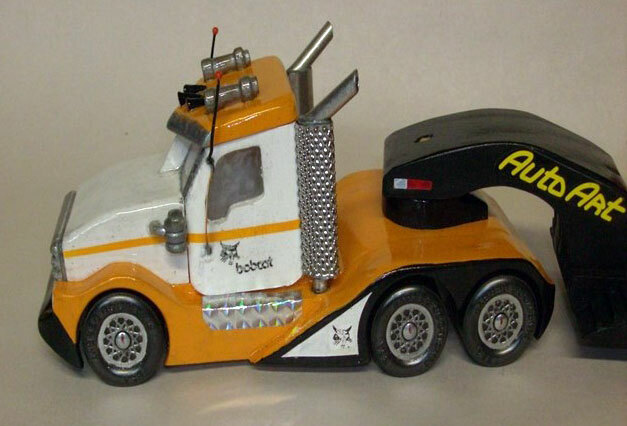 With the Big Rig 18-wheeler kits in short supply, the longer axles are very hard to come by. 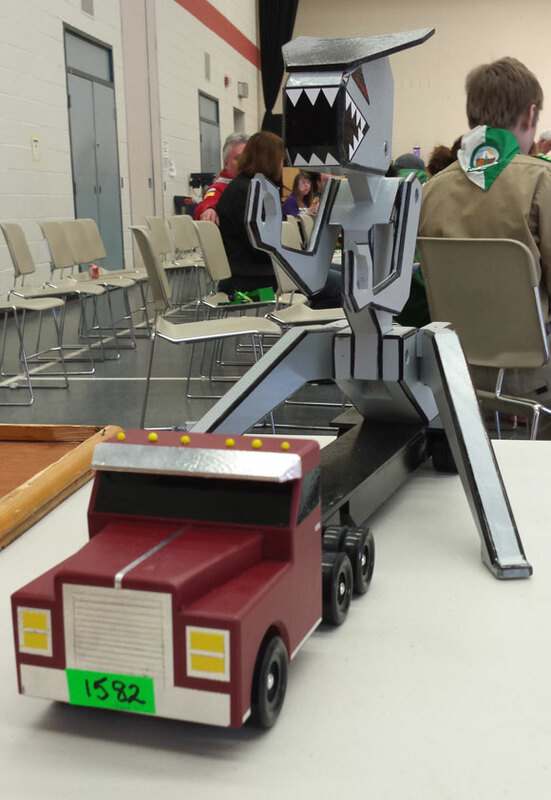 Glad to see the Turtle Car made the previous edition of the Pinewood Derby Time; my grandson is proud as heck. The Webelos Whizzer was made by my other grandson, Herman Shiffler. It took 2nd in the District Finals for Webelos. 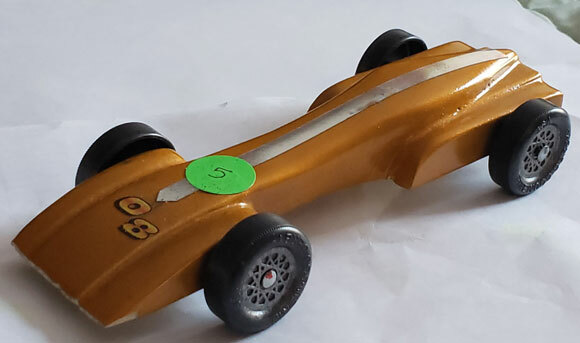 When my son was a Bear in the Cub Scouts, we had just moved into the area and his pack was going to be having their annual Pinewood Derby Race. The year before, in his old pack, he and I built a car that took third overall and won the show and shine award for best paint job. So, we thought we could do well in the Pinewood Derby in his new pack; but we were wrong. When we went to weigh in his car that year, I could tell right away that the cars in my son’s new pack – with the sleek designs and cool paint jobs – were on a totally different level than we were. In the double elimination race, my son’s car was eliminated in the first two heats. After that race I knew that we would have to do something different for next year. The following year my son was in the Webelos group, and it would be his last year to race with the Cub Scouts in his new pack. After doing a little searching over the Internet, we designed a car that was sleek looking, and we implemented some of the speed tips I was able to find. My son, my wife, and I were all amazed and shocked when his car went undefeated that year in his pack and was able to advance to the District race. We were further amazed when his car went undefeated in the area race and took second in the District for the Webelos that year. After the race we were informed that there was going to be a Council race that year, and the top two in District could go. At the Council race there were some fast-looking cars, and we were not sure just how well his car would do. However, we were both surprised, because at the end of the race he had finished second in the Webelos just behind the same car he came in second to at the district race. The best part was after they had awarded him his trophy (which was a big one), he had to walk back to the car which was located at the opposite end of the fairgrounds through the thousands of scouts that were there. I could tell that he was on cloud nine because the whole way across the fairgrounds he was stopped by friends and other scouts that wanted to check out his car and his trophy, and he was glad to share his story with them. I want to drill my own axle holes. Is the cobalt #44 split point drill bit long enough to drill all the way through the pinewood derby block. The cobalt bits allow you to drill half way through the block. Generally, you want to drill four holes, 2 on each side. 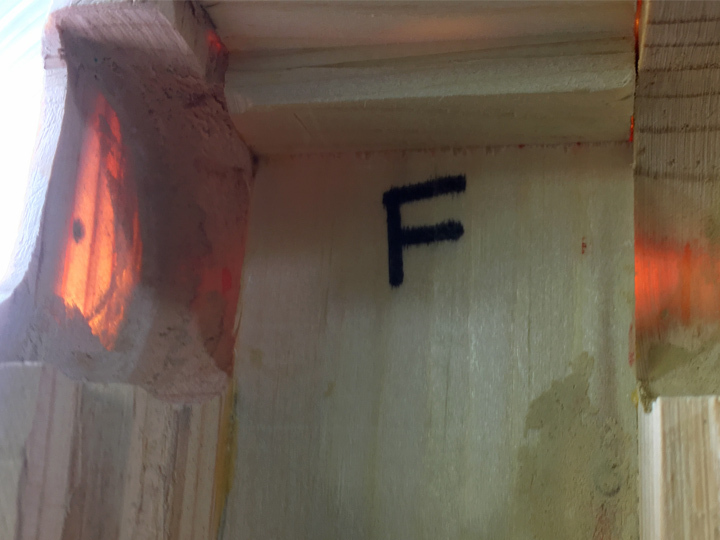 If you get a long drill bit and try to drill all the way through the block, the bit will flex, and the hole will not be accurate. I got my wheels and axles. The axles look great but the weight-reduced wheels flutter on the axles. Is there something I’m doing wrong? Thanks for any help. Especially with the light wheels, there is not enough mass to hold the wheel firmly on the axle when they are free-spun. So, they will tend to jump and flop around when free-spun on an axle. BSA wheels and axles have a very sloppy fit, which makes the phenomenon worse. Of course, when the wheels/axles are on the car, the weight of the car holds the axles firmly to the wheel. So, free-spinning is not a valid test of the trueness of a wheel. I recently wrote an article on this and provided some suggestions as to how to test wheel trueness. If you are interested, you can read it here. There is a lot of material on the internet about testing wheels by free-spinning, but much of it was written prior to 2009 when BSA made a major wheel change. The pre-2009 wheels were considerably heavier, and they free-spun reasonably wheel. But the current wheels are just too light to use free-spinning as a way to test wheels. I purchased your polished axles. Is there any value to polishing the axles any further? Our axles are polished to 3,000 grit. If you have the material to polish further, you can. But with graphite lube I don’t think there is any payback to polishing further. With a liquid lube, polishing further would likely be advantageous. (C)2019, Maximum Velocity, Inc. All rights reserved. Please do not reprint or place this newsletter on your web site without explicit permission. However, if you like this newsletter we grant permission, and encourage you to e-mail it to a friend.